The cuteness continues with my Ruby Red M320 making its sixteenth appearance in my rotation. Like its M600 big brother, this pen has a lovely ruby red marbled pattern in the material, some people dislike the black blind cap and grip, but I like the contrast. I have been collecting spare M300 nibs of late. This broad came from Cult Pens in the UK who have a few M300 nibs still in stock. 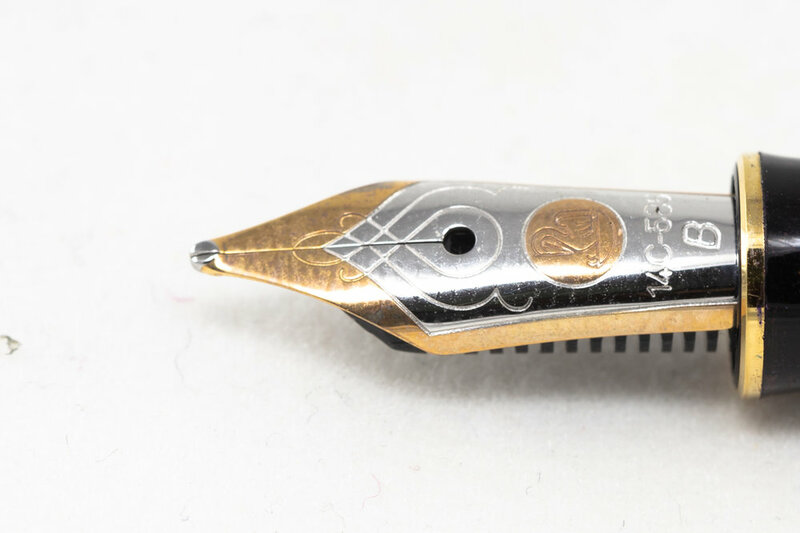 It feels a bit weird to have such a wide nib on a tiny pen, but you soon forget about it once you write a few words and marvel at the smoothness. I don’t remember this ink being so pale, in my notes from its last use I did note that it was a similar shade to iroshizuku kiri-same. It shades well, but all grey inks shade. I hope it is legible on the Clairefontaine paper stock I use at the office.